Bring a feeling of texture and depth to your bath with the gorgeous Hatton vanity series - hand finished in warm shades of Dark or Light Chestnut, with brushed chrome or optional antique brass accents. A contemporary classic for the most discerning of customers. The Wyndham Collection is an entirely unique and innovative bath line. Sure to inspire imitators, the original Wyndham Collection sets new standards for design and construction. Constructed of environmentally friendly, zero emissions solid Birch hardwood, engineered to prevent warping and last a lifetime. 12-stage wood preparation, sanding, painting and hand-finishing process. Highly water-resistant low V.O.C. sealed finish. Beautiful transitional styling that compliments any bathroom. Practical Floor-Standing Design. Deep Doweled Drawers. Fully-extending under-mount soft-close drawer slides. Concealed soft-close door hinges. 3" backsplash. Four (4) functional doors. Three (3) functional drawers. Faucet not Included. Metal exterior hardware with brushed chrome finish. Plenty of storage space. Plenty of counter space. Mirror Not Included. Undermount Oval Porcelain Sink. 8" widespread 3-hole faucet mount. Optional metal exterior hardware with antique bronze finish. 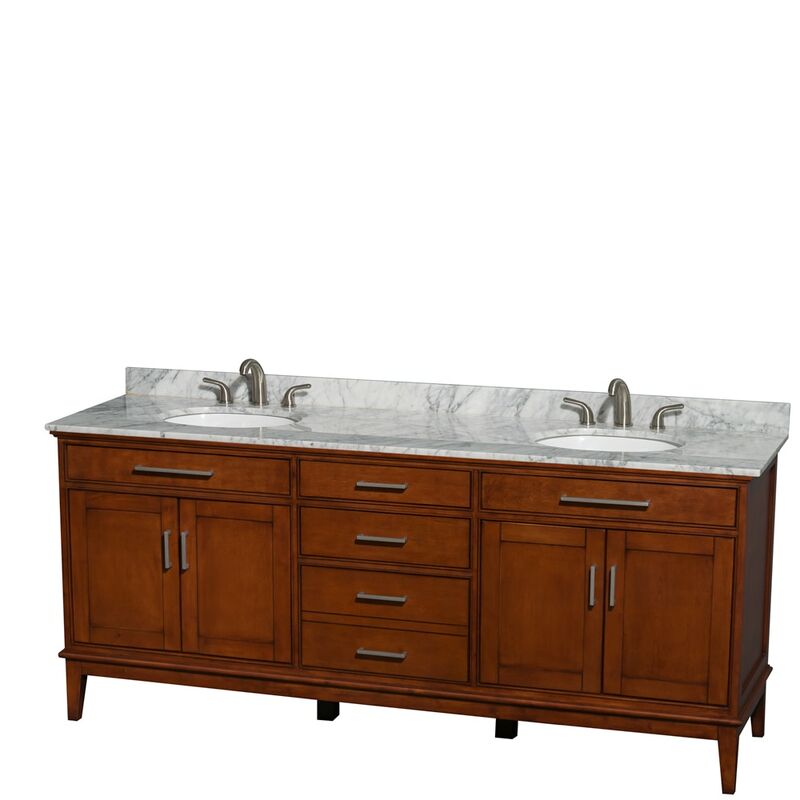 Dimensions - Vanity: 80" x 22" x 35"